Check out these featured reviews for WHAT FEARS BECOME: An Anthology from The Horror Zine, edited by Jeani Rector and showcasing works by well-known suspense/horror authors and some on the rise. As well as horrific shorts, this hefty book comes complete with dark poetry and art from talented poets and artists. "This is a feast of horror, an explosion of ideas that reach into every aspect of the genre...an inspired mix of energetic and captivating horror. This anthology is like a fearful breath from an ancient crypt; enter if you dare!" "What do reader’s fears become when they’re examined? Top-notch tales, poems, and images will horrify and delight readers in this anthology called What Fears Become. Each feature rips through reality plunging readers into frightful situations deep enough to provoke a bag full of nightmares. It is unlikely readers will set aside a single whisper-read word. Like stepping onto a monstrous scene, their wide eyes can’t look away. Thirty-one finely honed eager narratives, eighteen delicious poems, and eighteen visions touch all who dare venture inside." Enter to win WHAT FEARS BECOME today! Review: "A rollicking adventure of romance and True Grit." 5 stars! "A rollicking adventure of romance and True Grit. Alison Bruce has crafted a steamy tale of the old West that takes us out of the ordinary and into a rollicking world of romance and adventure. As a young woman who masquerades as a boy, the plucky Marly's identity is finally revealed as she finds true love with stand-up dude Texas Ranger Jase Strachan. This is an historical Western romance in a style that reminds me of Hemingway. Although the descriptions are colorful and accurate, there are no wasted words here as the characters are developed through dialogue and action. The old West comes to life! Highly recommended." 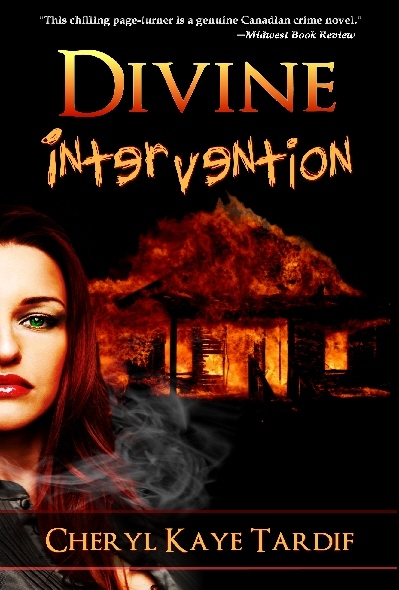 Divine Intervention review: "This is some of the best suspense writing around." "Cheryl Kaye Tardif has become my favorite Canadian writer with this series and other books. Character and scenario building is always excellent. The villains are never easy to catch or figure out. A bit of humor sprinkled throughout is always a respite from the tension of the chase to find the killer before another victim falls...Ms. Tardif helps her characters take it all in stride while weaving us through a maze of false trails leading up to an always exciting finale...Tardif draws us into the tale both emotionally and mentally as we try to figure out who does the nasty deeds before she tells us. This is some of the best suspense writing around." 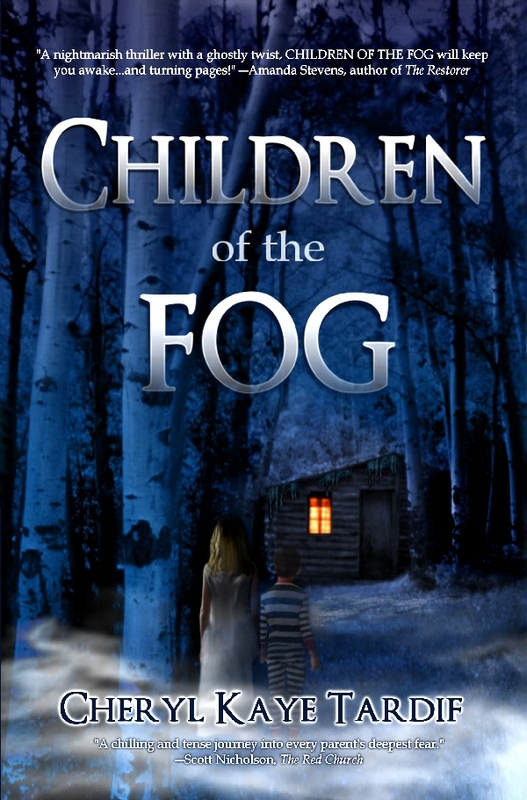 Children of the Fog review: "So scary!" "Creepy...so scary! Beautifully written, it will have you checking on your children in the middle of the night!" Imajin Books is looking for freelance book reviewers who are interested in reading and reviewing ebooks by our authors. Reviewers can request a title from already published books or ARCs of upcoming releases. Book reviewers should write well and not give away all the plot points in their reviews. Book reviewers must post their reviews to Amazon.com. Along with posting to Amazon, reviewers may also post reviews to Barnes and Noble, Smashwords, Sony Store, or any other site that features our books. Reviewers may also post their reviews to their own websites or blogs. We encourage and appreciate reviewers who also post their reviews on their Facebook, Myspace and Twitter accounts. We appreciate reviewers who post reviews within 2 weeks of receiving an ebook from us. We do not pay reviewers, nor compensate them in any other way, and we ask for honest reviews. If you review one of our books, please email us with links to the website on which your review appears. We reserve the right to refuse a review request at any time. To request one of our ebooks to review, email us at imajinbooks@shaw.ca, with REVIEW REQUEST in the subject line plus the title of the ebook you'd like to review. In the email, please confirm your intention to post your review to Amazon.com, and list anywhere else you think you'll post to. At a later date, we may create a list of preferred reviewers. Whale Song review: "Your words made me weep." "I was captured by Cheryl Kaye Tardif’s emotional tale, “Whale Song”...it is brimming with the wisdom...an ageless story, though, and appeals to readers across generations. Whale Song teaches us not only about the traditions and lore of Canada’s west coast Indians, but also about ourselves—about the children we once were and the wise elders we are destined to become...Cheryl Kaye Tardif, your words made me weep." Ebook available at Kobo Books, Amazon & Smashwords, Barnes and Noble and more. New trade paperback (2010 edition) now available at https://www.createspace.com/3486110 and Amazon. Lancelot's Lady review: "I absolutely loved it." "Lancelot's Lady is a compelling and emotional tale of two people destined for one another. The suspense builds and builds until the stunning and shocking conclusion is revealed. D'Angelo pens a wonderful story of two passionate souls searching for someone to complete them. The sparks fly and the attraction sizzles between Jonathon and Rhianna, and the pages just fly by as this reader found herself captivated with their story. I absolutely loved it!!" Lancelot's Lady is available at Amazon, Kobo Books, Smashwords, Barnes and Noble and more. Skeletons in the Closet review: "Brilliantly conceived..."
Having vowed that I would read more from this obviously talented Canadian author, I was thrilled when I discovered this collection of short stories...SEPARATION ANXIETY tells a tragic story of the grief of losing a child to an untimely accident and reminds us that revenge is a dish that is sometimes best never served at all! DEADLY REUNION is a chilling little tale of long lost teenage acquaintances that starts with stories of teenage angst and the cruelty of bullying ending with paranormal visions and questions about fate and destiny. If a reader was as twisted as Cheryl Kaye Tardif, one might say that her endearing story, OUIJA, is about a gift that keeps on giving! There are several other stories and I was also thrilled to discover that, unlike so many other collections of this type, there is not a single piece of dead wood in the entire anthology. You can read Paul's full review at Lunch.com and on Amazon.com. Skeletons in the Closet & Other Creepy Stories is available in ebook edition via Amazon, KoboBooks, Smashwords, B&N, and other ebook retailers. THE RIVER: "a high speed thriller"
Amazon Top 100 Reviewer, Paul Weiss, says THE RIVER is "a high speed thriller... fantastic, compelling...readers will shiver with delight..."
You can read Paul's full review on Amazon.com. THE RIVER is currently available in ebook (Kindle, Kobo, Smashwords, Nook and more) and trade paperback* editions. *A new trade paperback edition with bonus material is slated for late 2011 and will feature an updated new cover and a smaller price tag.